Phuket Events and Festivals where to be what it’s all about, enjoy Phuket. 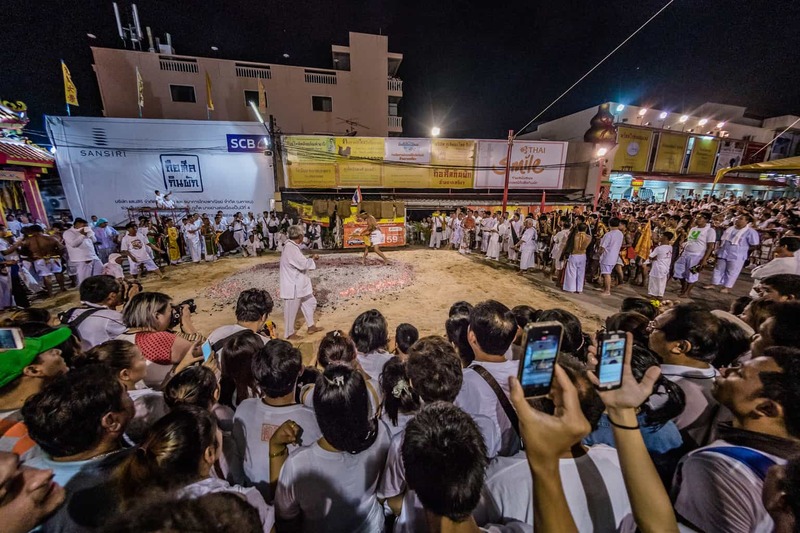 Phuket Events and Festivals, where to go, what to expect. 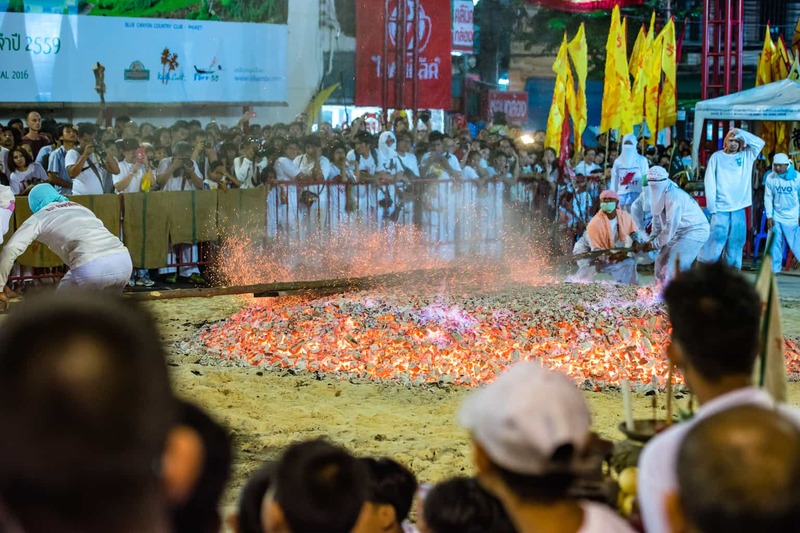 Having a misleading name, the festival is held in October for a range of nine to ten days (with the use of the Chinese lunar calendar, the dates are known to vary from year to year) and it’s known to be a frightful event. 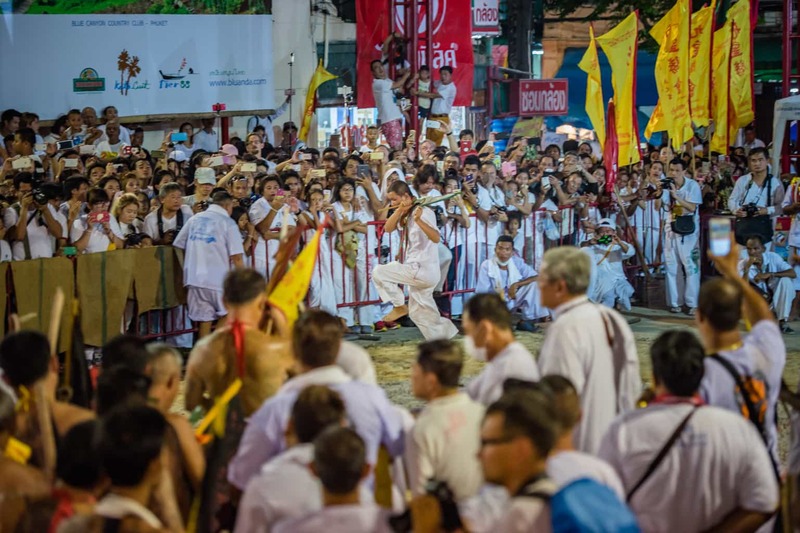 For 2017 the Vegetarian Festival is going to have fewer activities and parades as a mark of respect to the Late King Of Thailand King Bhumibol Adulyadej, read more about 2016 HERE. 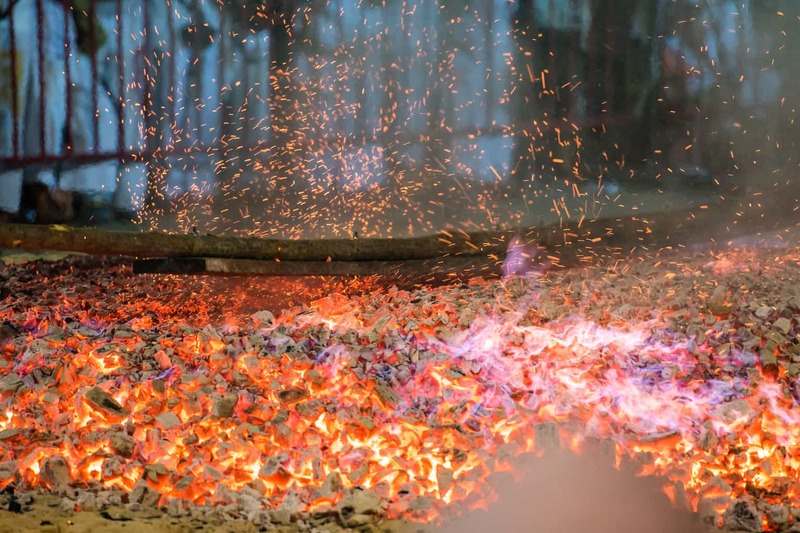 Some activities you might want to see are mediums walking the streets, extreme body piercings, the climbing of ladders decorated with blades and hot coals by locals this is obviously not for the faint-hearted. Knowing that you can as well find an offer on a Phuket vegetarian food varieties which are labelled with signs of red and yellow as proof of being ‘asje’ or ‘je’. Enjoy some tasty foods during the festival by welcoming the atmosphere! 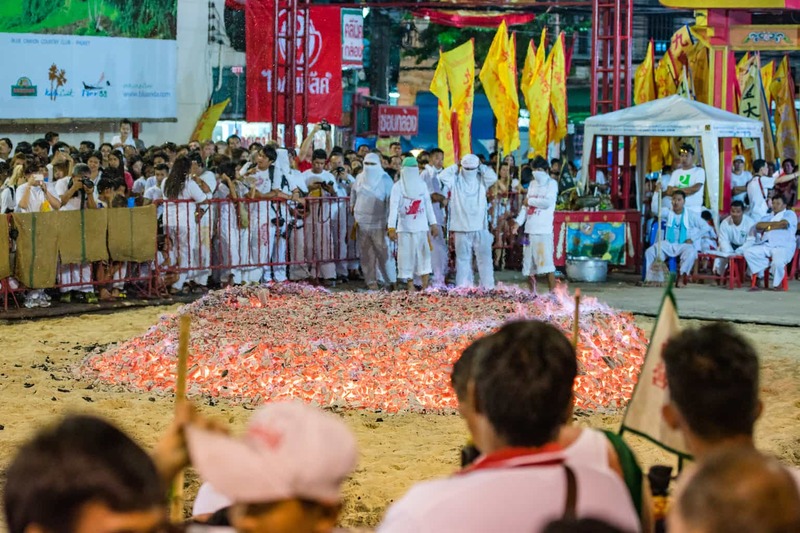 Visiting a shrine in white will help you feel a part of this vegetarian festival by burning incense stick. 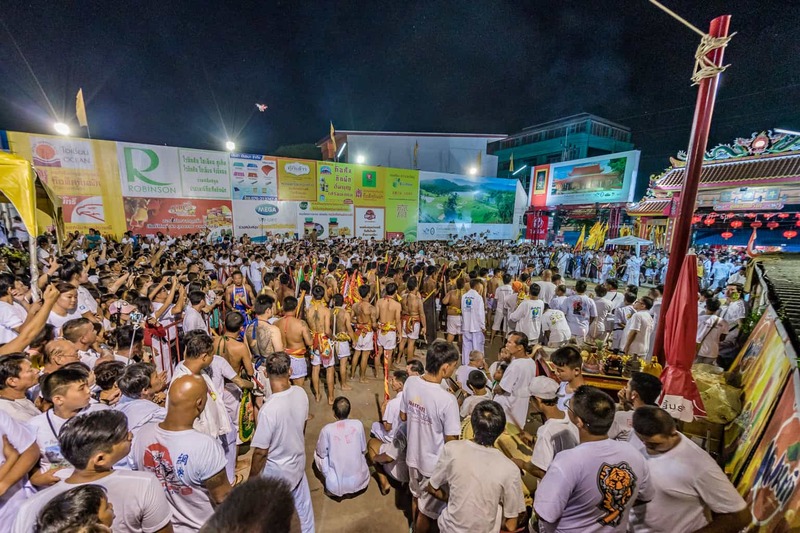 There’s more on the Phuket Vegetarian festival 2016 HERE. This festival is known to be celebrated in the 12th month of the night of the full moon in the calendar of Thai lunar, Loi Krathong literally means water with a floated basket. There’s more on Loy Krathong in Phuket HERE. The Krathong is made traditionally from the leaves and trunk of a banana tree. Bio-degradable like bread wrapped in banana leaves has now been used to replace the floating basket. 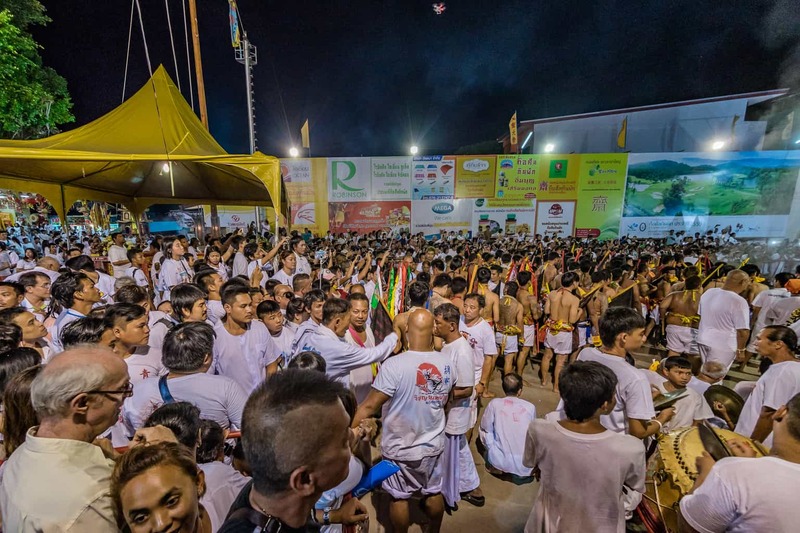 This page and website of Phuket Events and Festivals is frequently updated please read, follow, like, tweet the blog below. 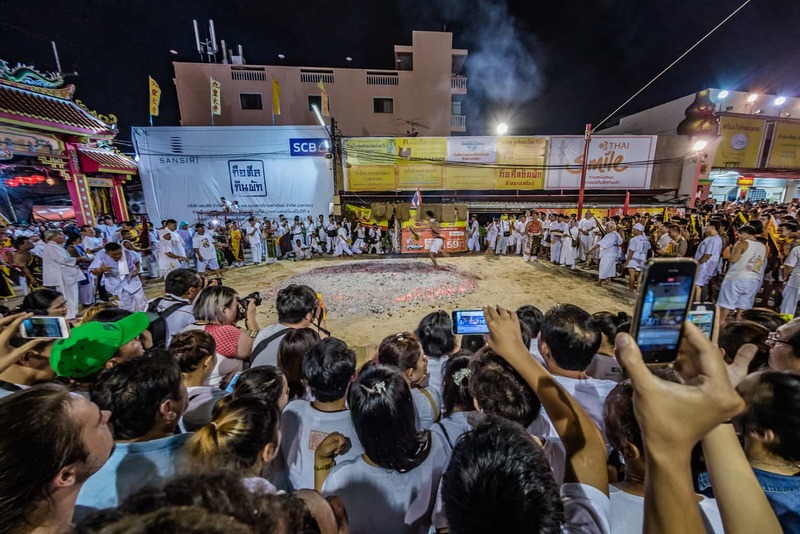 Phuket Events and Festivals if you’re in Phuket you can join in. You may follow the latest Phuket News, Phuket weather, Phuket sport, Celebrity Gossip and the stellar line of of English language entertainment here, and don’t forget the BBC International News is LIVE via satellite every hour. 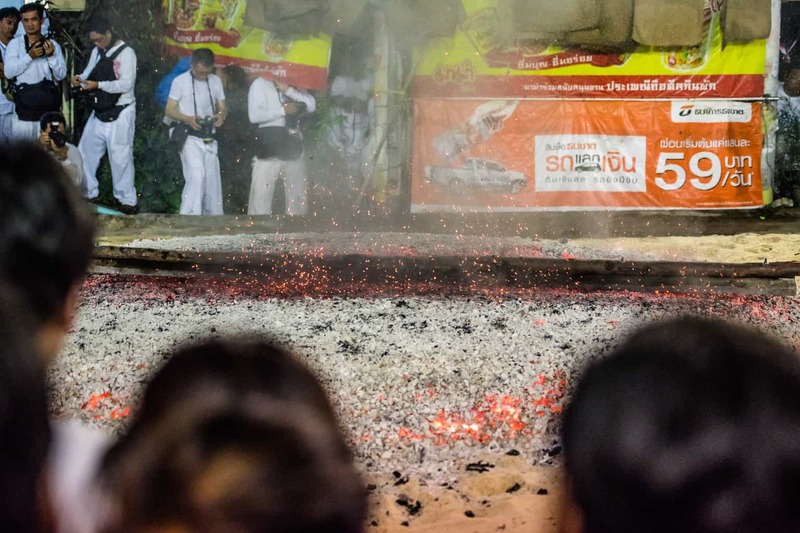 Phuket Events and Festivals and the Chinese New Year. There are many Thai/Chinese families in Phuket. 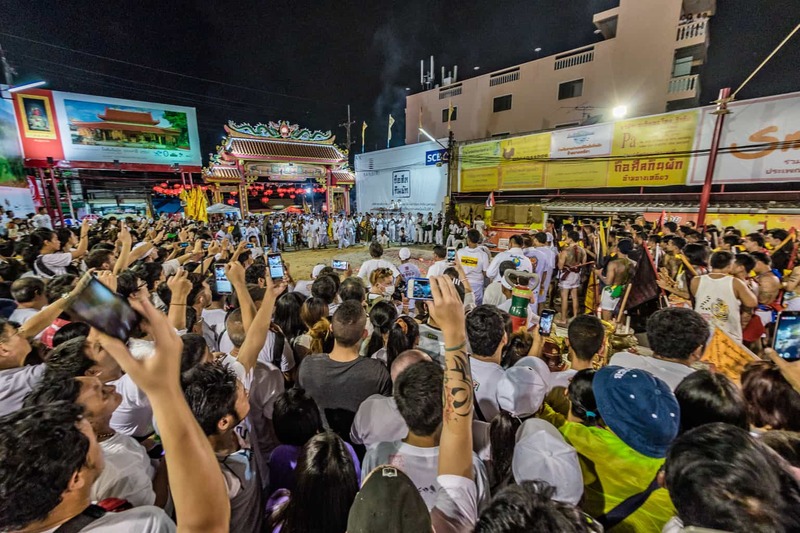 With the influx of so many Chinese tourists, this Phuket event is starting to gather a lot more attention and visitors. 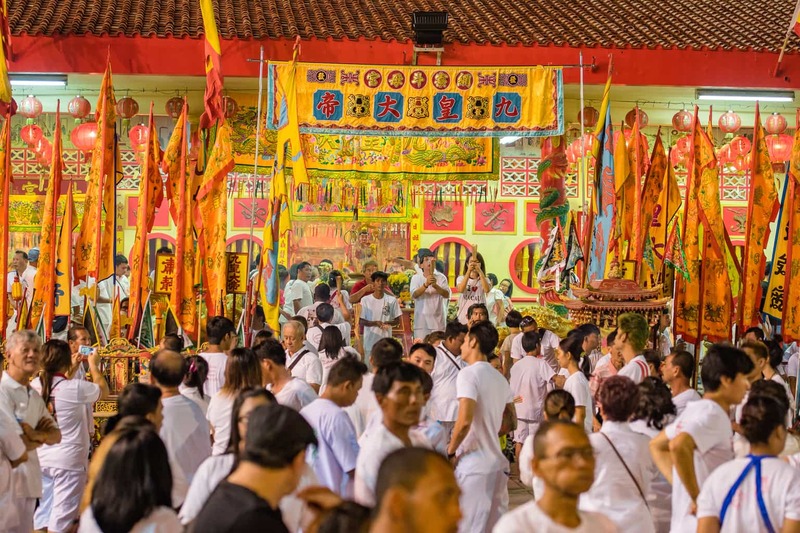 The Chinese New Year Phuket is a festival that falls between January and February which gives an ideal time to celebrate the New Year and witness Phuket. Be prepared for Chinese dragon dances along the street with lanterns everywhere and firecrackers. The best of the Phuket action can be found when China town is in Phuket. Be prepared for Chinese dragon dances along the street with lanterns everywhere and firecrackers. The best of the Phuket action can be found when China town is in Phuket. The best of the Phuket action can be found in China Town which is in the centre of Phuket Town. Songkran Festival Phuket, The Thailand New Year. Songkran is a much bigger festival than other Phuket events and festivals as it signals the Thai New Year. 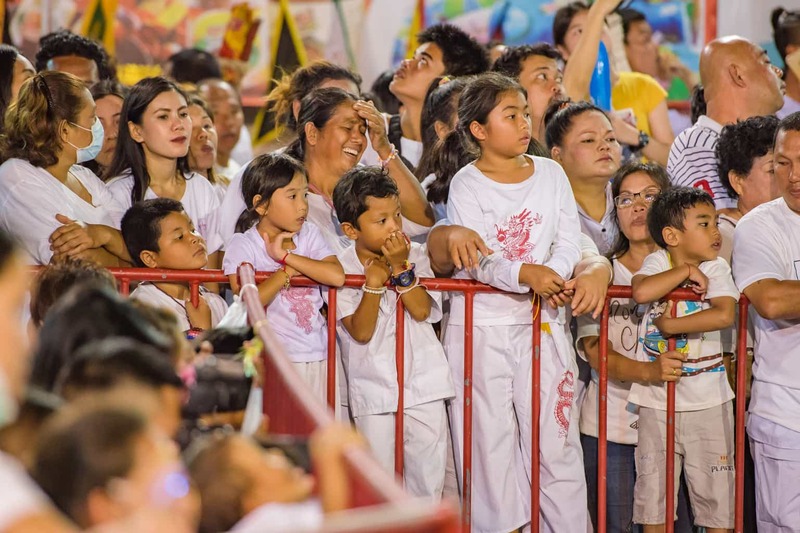 This festival originated from the idea of blessing family members with water. 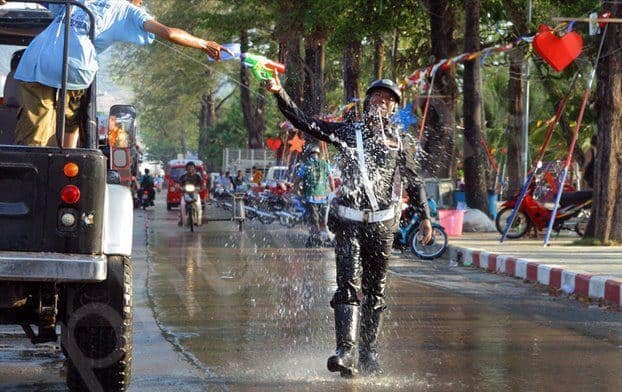 Today, unfortunately, some of the Thai culture is lost and it is seen today as fun of a big water fight! 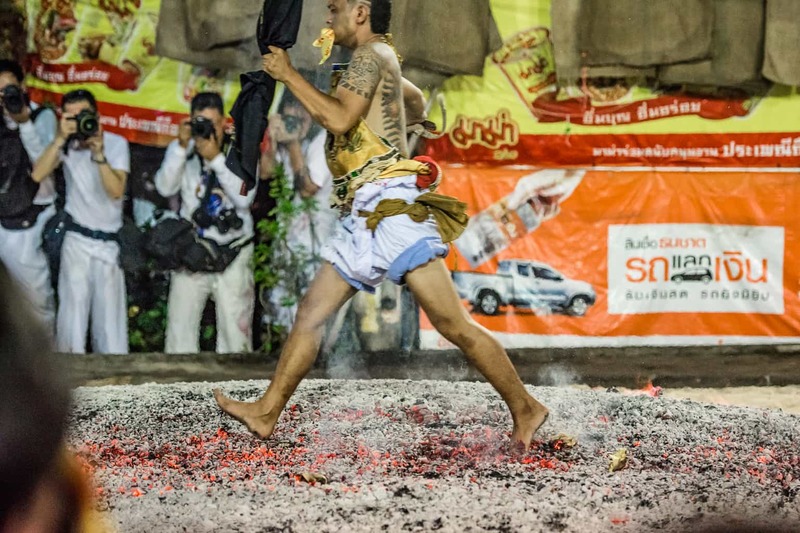 The festival is also known to come at the end of the Thailand’s dry season. The Biggest water Fight in the World. 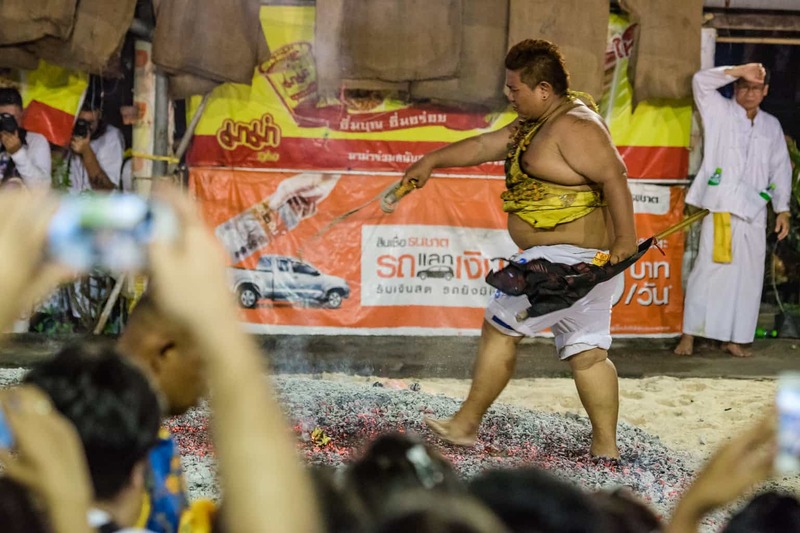 Celebrated throughout the Kingdom of Thailand and in many locations, festivities go on for over a week. However, in Phuket, it normally lasts for two days, where venturing out will for sure get you wet. 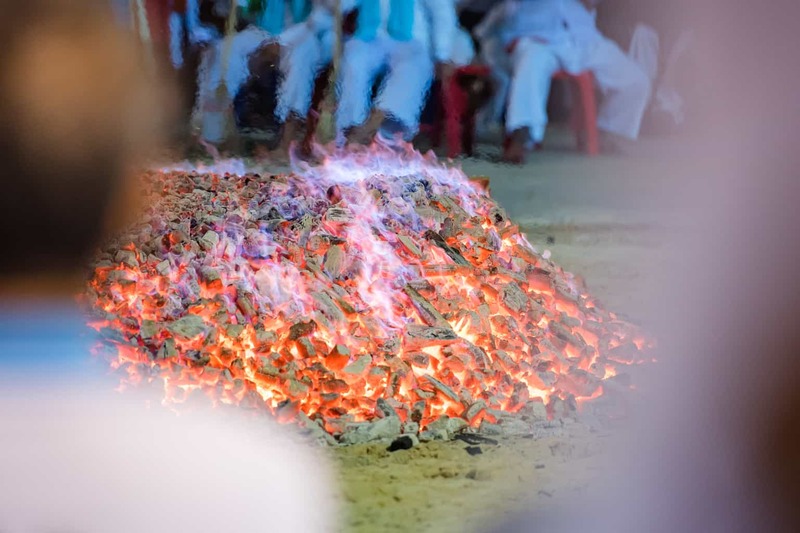 There are many Temples and festivities early in the morning where a visit is well worth the early rise to witness the true meaning of this cultural event. Songkran, the end of the DRY season. The Songkran festival is also known to come by the end of the Thailand’s dry season. Songkran is normally an indication of the changing winds and weather. Thereby helping the farming community grow their crops. Get yourself some kind of a water carrier or water gun for self-harming. Do not take valuables that can be damaged by water. Prepare your mind for getting soaked as it will be the hottest time of the year and can be the most fun. You need to consider and be reminded of being respectful while pouring water on the Buddha statue (it is acceptable). This should be a three-day public holiday spent in Thailand and Phuket. The biggest Phuket Event or Festival great fun for the kids and family. Have fun, be respectful and stay safe. Por Tor Hungry Ghost Festival. One of the Thai festivals that are known to depend on the moon for its precise date is the Por Tor Hungry Ghost Festival. The waxing moon’s first day and in the seventh lunar month is when this festival is known to take place. This period typically falls in late August or early September. It started on August 17th, 2016, and in 2017, it took place on 5th of September. The Por Tor Hungary Ghost Festival as its name says it all, is a Phuket festival dedicated to feeding the spirits. One main focus of the festival is food for both living and the dead along with many parades. Ancestors are being offered food and those without family members. Focused on families, most of these events are been hosted in houses. Celebrations of the public are known to take place around the country. Ideas and recommended places in our “where” section. 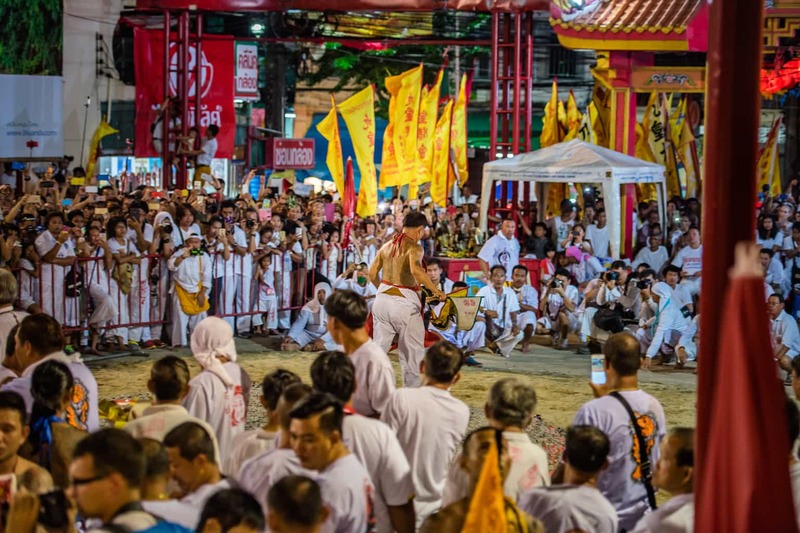 An example of Thailand’s multicultural festival approach is the Por Tor festival. 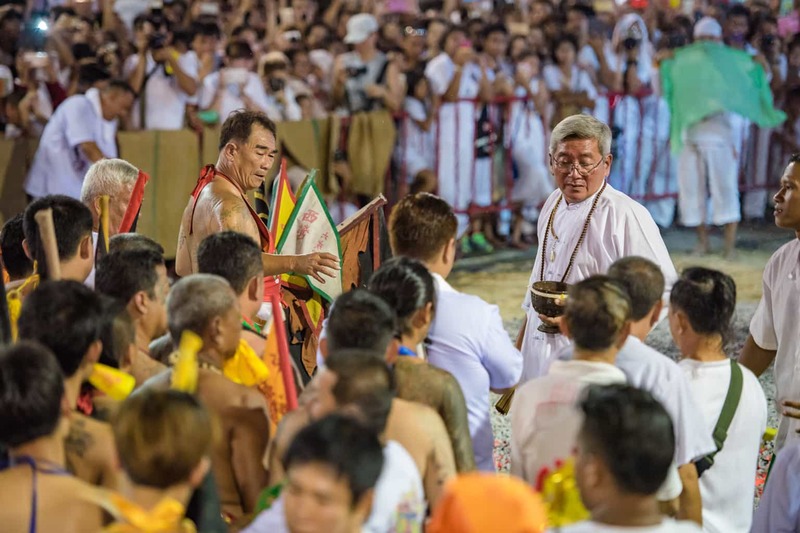 This festival is originated from China but has now been seen with enthusiasm in many areas in Thailand. This how the story goes. What to expect on the day of the celebration. Well, remember, gates of hell are being opened to release the starving spirits down to earth for a chance to get food and eat again. Usually, to eat with their families still living if they still have any descendants. The living finds this a chance of giving a helping hand to their ancestors who did not get the purest lives and for this. It is believed they have been forever trapped in hell. 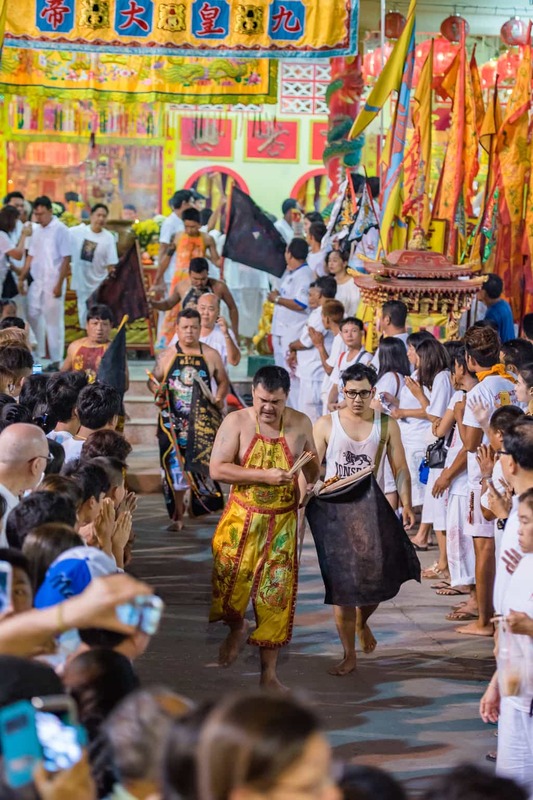 The ideal place to celebrate the Por Tor Hungary Ghost festival happens to be Phuket. 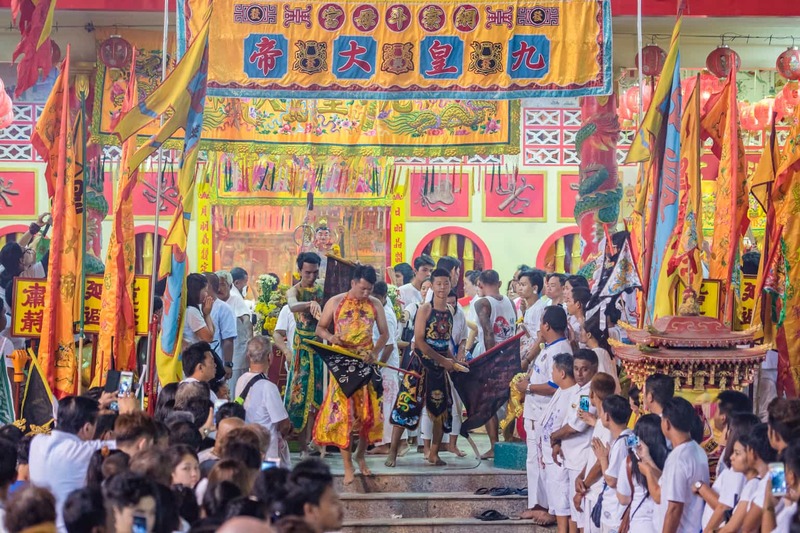 The island is known to have a vast population of Chinese/Thai-Chinese and they have truly made the event their own. 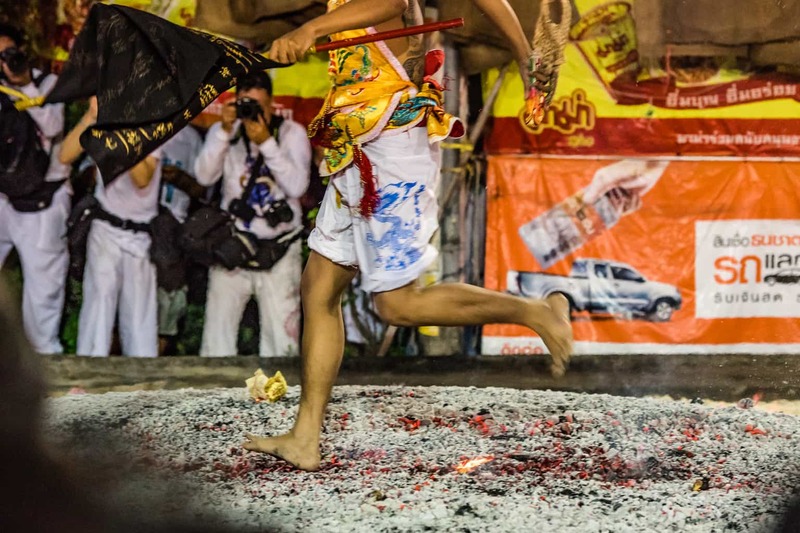 Highly renowned in Phuket, Hungry Ghost is celebrated more so than in Bangkok. 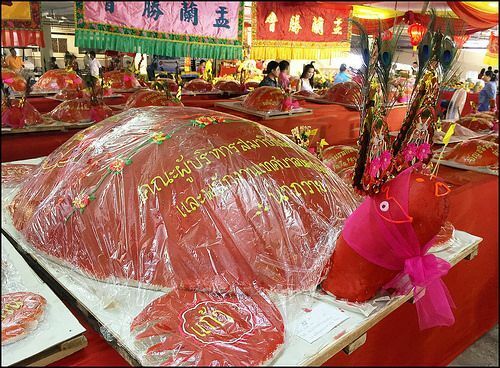 The most popular traditions in Phuket is to produce ‘Ang Ku’, red turtles made up of sugar and flour. Will you eat bite-size or enormous? 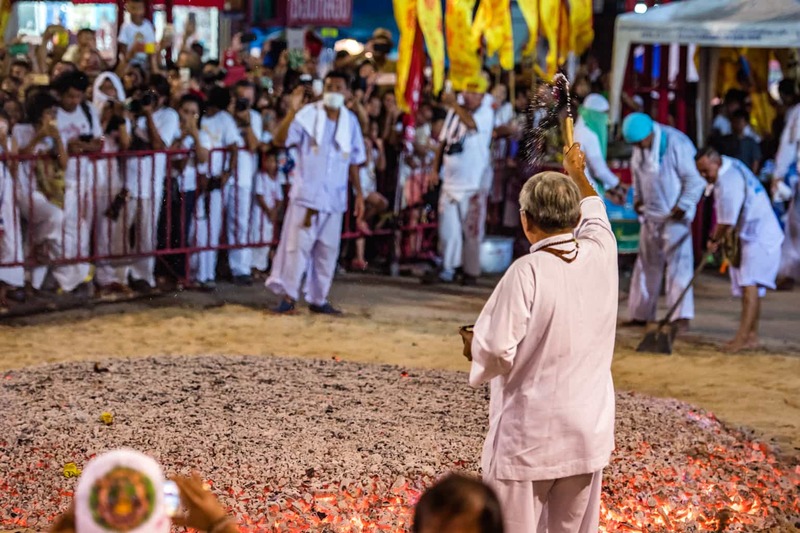 Seng Tek Bel shrine is a centre made for the celebration (aka Por Tor Kong shrine) located in the town of Phuket. The event is done in seven days while it goes on for just two days. 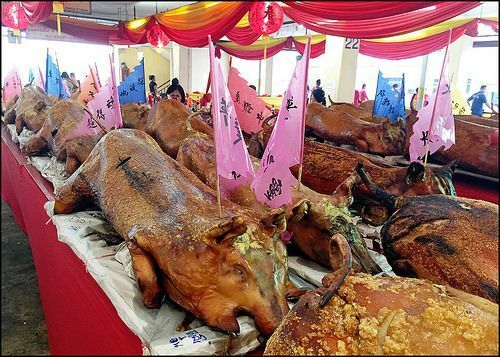 However, in other places, all kinds of Chinese delicious foods are available in this event. A second location worth trying is the Ranong Road market in Phuket town. 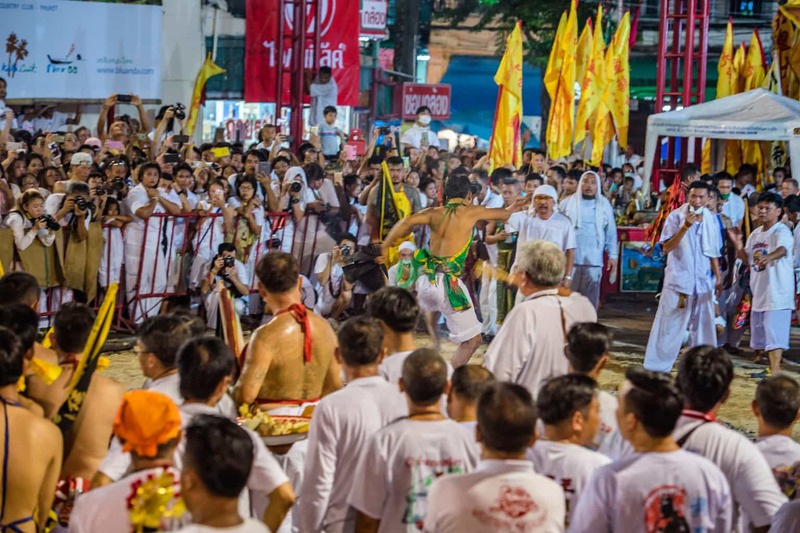 There are two parades are usually done in Phuket for the Por Tor, one is done at the beginning while the other one later in the celebration. 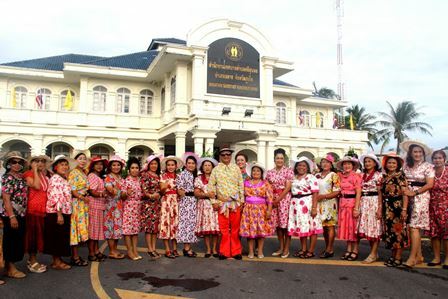 Participants are dressed in Chinese traditional clothing all through Phuket Town. Finally, the red turtles on the show would be more than you could possibly imagine.